Effie Hadman captured the hearts of the firefighters after they heard about her battle with Late Infantile Batten Disease, a rare neurodegenerative disease that affects young children. 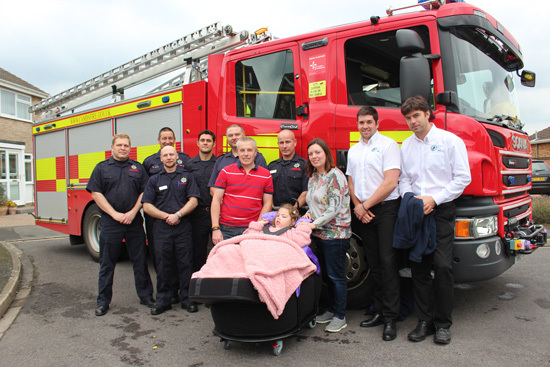 At 2:30pm Friday 16th October Firefighters made a special delivery in their fire engine, some of the money raised was used to purchase a P Pod and Mobile Base for Effie Hadman. Carly Hadman, Effie’s mum, added: “Effie lost her ability to sit up last Christmas and she has an adapted bean-bag type of chair for her to sit on which holds her head up for her. The trolley the firefighters have bought for her holds the bean bag inside it and enables Effie to be wheeled around the house and means we don’t have to lift her all the time, which is nicer on her body and will make it easier. Funds raised at the Dogsthorpe Fire Station Open Day in July have been awarded to three charitable causes by the Dogsthorpe Fire Station Sports and Social Club, which ran the event. A donation of just under £600 has also been made to The Fire Fighter’s Charity and £90 has been donated to Smokey Paws charity, which buys oxygen masks for animals that can be stored on fire engines in case fire crews are called to incidents involving animals. https://www.cambsfire.gov.uk/index.php and Like and Follow them on Facebook and Twitter. The P Pod is a simple yet effective seating system with postural support for use by children and adults when indoors. The unique patented design of the P Pod combines a symmetrical or custom moulded seat with the simplicity of a conventional Bean Bag Base. 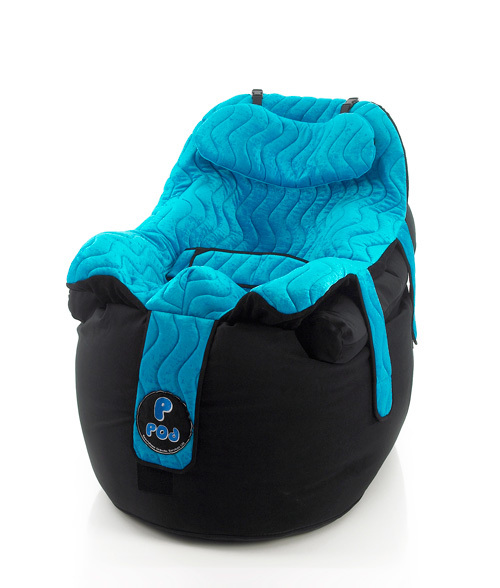 P Pods are the only Bean Bag Seating system to offer high levels of postural support. 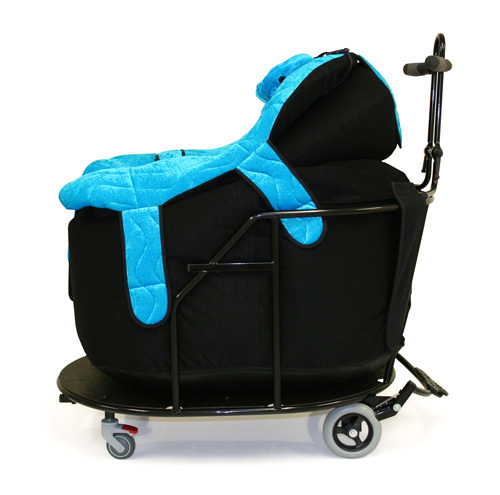 Specialist equipment in the home environment can be difficult to use due to space and access issues, the SOS P Pod seat gives high levels of support with the convenience of a Bean Bag for easy use around the home.